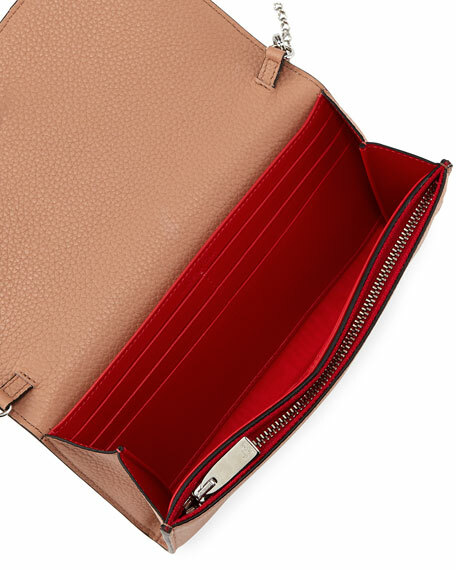 Christian Louboutin pebbled leather crossbody wallet. Removable chain shoulder strap, 22.3" drop. Flap top with logo stud; snap closure. Interior, zip compartment; two bill slots. Twelve card slots; signature red lining. 4.3"H x 7.3"W x 0.8"D.
"Loubi" is made in Italy.